Where to find FREE Wireless Internet access . 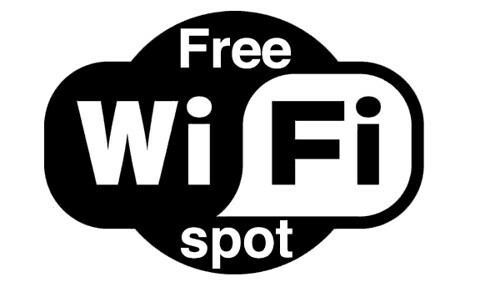 . .
An Open WiFi Spot is a location that offers a free WiFi high-speed, wireless Internet access to customers and guests and/or the general public. Starbucks and McDonalds are going to be your best bets when a working hardline connection cannot be found. Over 11,500 McDonalds restaurants now offer FREE WiFi. Starbucks offers FREE WiFi at their company-owned stores nationwide. Always make sure you have a fully charged battery or a back-up battery, because in a disaster, you will not be the only one seeking a WiFi connection. So electrical outlets will be in short supply. If you are in an area that does not have a Starbucks or McDonalds, this website could come in handy — www.openwifispots.com This is a comprehensive directory of publicly accessible WiFi spots. This site is updated constantly by users. It allows you to find free WiFi hotspots throughout the US. You can find free Wi-Fi almost anywhere, if you know how to look. It’s very important to remember that when you connect to a public Wi-Fi network, you’re opening a lot of your data up to the world. So, when using these tips, be sure you’re doing everything you can to stay safe on public Wi-Fi networks. To become an adjuster, you need either the ALL LINES or PROPERTY & CASUALTY license. AdjusterLicenseOnline with TXALA, offer both of these licenses through the state of TEXAS. Why is that important? Because Texas literally wrote the book on insurance. They did such a great job, and it was so comprehensive, that over 30 states ‘adopted’ it via reciprocity. This means that with just this one license, you can work claims in all of these states! So even if you have a license in your home state, you sill still want a Texas license. Most successful adjusters have a Texas license. Click to Register.